How to Catch Wild Pokémon - rear here how to Catching Wild Pokémon. 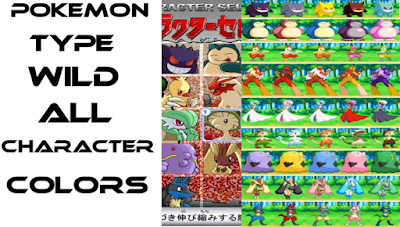 This guide hope can help you to win the Pokemon. Your device will vibrate to alert you when a wild Pokémon is nearby. If you don’t see any Pokémon nearby, take a walk! Pokémon love places like parks, so try visiting a local recreational area. You can attract more Pokémon to your location by using an item known as Incense. 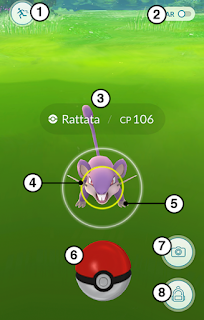 Pokémon located in your area are displayed in the Nearby Pokémon section in the bottom right of the screen in Map View. Touch the section to expand the list of nearby Pokémon and find out the distance to the Pokémon. 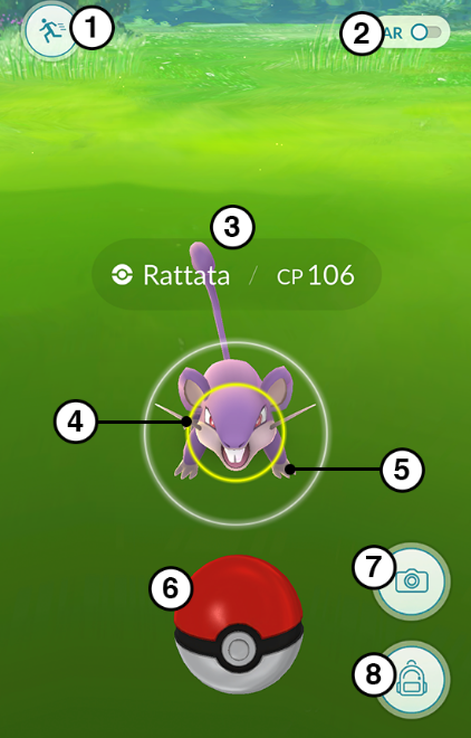 The distance to the Pokémon is represented by the footprints. 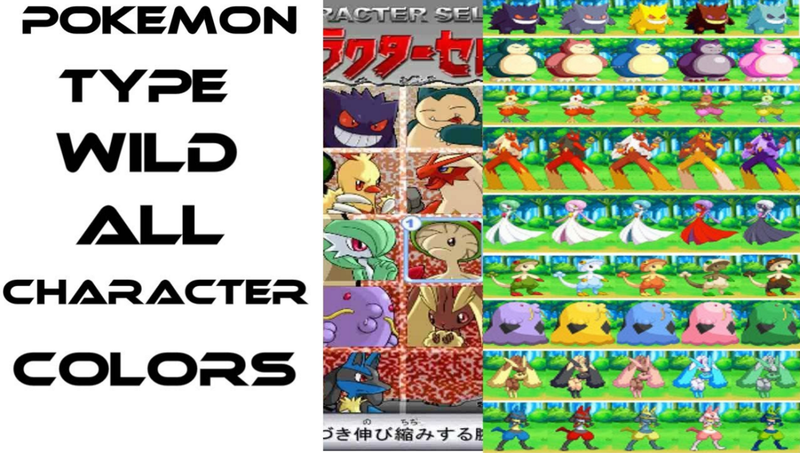 Pokémon already in your Pokédex will show in color, and Pokémon you haven’t previously encountered appear as silhouettes. When you encounter a wild Pokémon, you may have multiple attempts to capture it before it runs away. You can use items from your Bag to increase your chance of successfully catching a wild Pokémon. Razz Berries make the wild Pokémon easier to capture. High performance Poké Balls like Great Balls, Ultra Balls, and Master Balls increase your ability to catch wild Pokémon. Touch the Bag icon during the encounter to access these items. You can also snap photos of your Pokémon encounters using the camera. When a wild Pokémon is nearby, your device will vibrate, and the Pokémon will appear on the map. Touch the Pokémon to begin your attempt to catch it. The Pokémon will appear in front of you. Note: You may need to orient your device or switch out of camera mode. Touch and hold your Poké Ball. A target ring will appear around the Pokémon. The ring’s color indicates the difficulty level of capturing the Pokémon. A green ring indicates the capture is low difficulty, orange indicates intermediate difficulty, and red indicates extreme difficulty. You have the greatest chance of capturing the Pokémon while the colored ring is at its smallest diameter. At the opportune moment, fling the Poké Ball toward the Pokémon. If you are successful, the Poké Ball will capture the Pokémon. Watch out, though—Pokémon can escape from the Poké Ball. Tip: Drag and rapidly spin the Poké Ball in a circular motion before you release it for a chance to receive a curveball bonus. You can also acquire new Pokémon by hatching Eggs and evolving captured Pokémon. Every time you catch a Pokémon of a particular species, you’ll receive Candy for that species. Evolution requires a different amount of Candy for each species. Pokémon that require more Candy to evolve tend to show greater gains in CP. Evolved Pokémon generally have higher CP and HP, making them a valuable addition to your collection. From your list of Pokémon, select one Pokémon to evolve. On the Pokémon’s summary, touch the Evolve Button. You’ll still have the same number of Pokémon in your collection after completing an Evolution. The Pokémon you selected has evolved transforming into an evolved Pokémon so you haven’t gained or lost in total Pokémon. Until you have enough Candy, you won't be able to evolve your Pokémon. You can view the amount of Candy needed to evolve your Pokémon in the Pokémon’s summary. How do I move my avatar? To move your avatar on the map, you need to change your location by walking in the real world. Your avatar represents your location, and as you move, you’ll see your location move on your screen. Once you start moving in the real world, you’ll be able to find Pokémon, PokéStops, and Gyms. How do I change my avatar or team?